» Are You Ready For PlayStation Virtual Reality? Are You Ready For PlayStation Virtual Reality? With the hugely anticipated releases of the Oculus Rift and HTC Hive, and of course the PlayStation VR, there is no doubt that 2016 is the year when virtual reality gaming takes center stage. We are moving from the 2D way of gaming via flat screens to complete 3D immersion. Where we are encased in a full panoramic view of our desired digital world in which to play in. 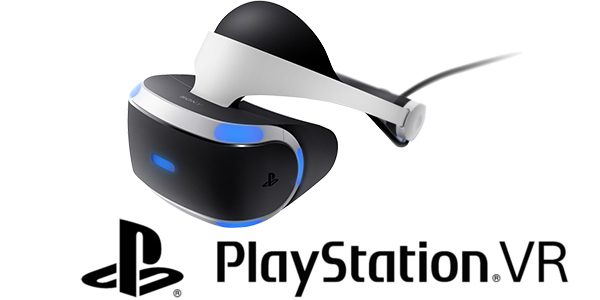 The PlayStation VR (codenamed Project Morpheus during development) is set to be officially released on October 13, 2016. Available titles for PS VR will include games like PlayStation VR Worlds, Golem, Star Wars Battlefront, and RIGS Mechanized Combat League. Just to name a few. These include upcoming releases and PS4 compatible games. Headsets are equipped for 360-degree head-tracking by the use of PlayStation Camera, capturing your natural movement in virtual space with precision. They are designed for comfort, balance, and flexibility being fully adjustable. It’s as if you aren’t even wearing them, allowing you the freedom from outside distractions while focussing your attention on your virtual world. Super easy to use. Simply plug the PlayStation VR headset and Camera into your PlayStation®4 system and you can begin loading games. Comes with a 5.7-inch 1080p OLED display creating the right space for comfortable visual perception. 3D Audio creates a sound environment as real as life. You can detect and pinpoint sounds in any direction in space. You will naturally turn your head towards the source of approaching footsteps, giving you the ability to judge distance. 100-degree field of view that falls within the overlap of our stereoscopic binocular field of view where we are able to perceive things in 3D. Cinematic mode, 3D audio processing, and Social Screen (mirroring mode, separate mode). Refresh rate: 120Hz averaging 120 frames per second. Over 50 titles are expected to become available. Although it comes with the necessary connectors and cables when connecting to the PS4, it does require the camera which is sold separately. This is a great alternative for those who do not have or want to by a high powered PC or smartphone in order to enjoy VR technology at home. Especially if you already own a PS4. How much will PlayStationn VR cost? Depending on where you live it will retail at around $399 , £349 or AU$550. This does not include the cost of the system and camera for use. It is clear that 2016 is a big year for virtual reality gaming. There are many more companies who are creating some amazing virtual reality headset like Samsung Gear VR, Microsoft Hololense, Meta 2, Razer OSVR HDK 2, and much more. Compared to top-end VR sets like Oculus Rift or the HTC Vive, you not likely to experience the same level of high-res or graphics. Regardless of that, the games look crisp and run smoothly. There are noticeable pixels and some games can look blurry, but for many games, it just works just fine considering how new the technology is for console use. For the price and convenience of using your existing PS4, it makes the PlayStation VR a terrific option for entry level virtual reality gaming at home.